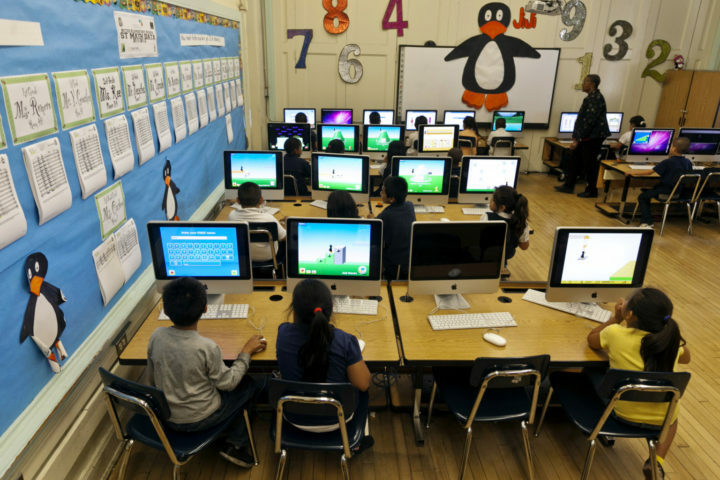 There seems to be an ongoing debate about the use of technology in the classroom. Some say that using technology damages the process while others tout the benefits and even go so far as to say that we can use it to manage all problems. The reality of the impact of technology probably lies somewhere between those viewpoints but we can get some clues about technology’s educational impact by examining the definition of technology and reviewing its use throughout history. Technology in its simplest form is the grouping of tools we use to perform a task. If we accept this definition, man has always used some tool or technique to teach lessons. From speeches, to dramatic plays, to textbooks and other literature, the educational system has evolved by making use of the best resources available. It makes perfect sense then that our current system would access information via the internet to engage today’s students. There are an infinite number of ways to make use of technology in education. The most obvious advantage is that internet connected devices give teachers and students the ability to access and respond to the most current information in real time. This promotes student engagement and collaboration among classmates and makes the learning a much more active process. It also provides a more comfortable learning environment for students because they are using devices with which they are very familiar. The internet is not the only resource. There are multiple learning software programs that provide a platform for the storing of materials, completion of individual and group projects, and class communication. There are also online portfolios where students can store and share their best work with the class, their parents, and even employers. Educators can use these tools to organize assignments and tailor their presentations to apply to all students’ learning styles. You might think that technology is only used at the university level, but the use of personal technology has increased with students of all ages and devices in high school and elementary school classrooms is now the standard. A recent review of US public schools reports that all state systems use classroom computers and that at least 20% of all students use a personal device for learning. The national cost for access to digital content is about $3 billion a year. Technological advances have made devices and information easily affordable and accessible. This is both a blessing and a curse. Rapid development and ease of access has created a system that has very few rules and is limited only by each person’s imagination. The situation has given rise to the concept of Digital Citizenship which refers to the standards and norms of appropriate use of technology. Educators must now teach students to not only access information but to also analyze it critically and respond to it appropriately. Ethical digital citizenship is an important lesson and one that is not limited to educational settings but will serve students well in a culture where technology pervades each aspect of life.